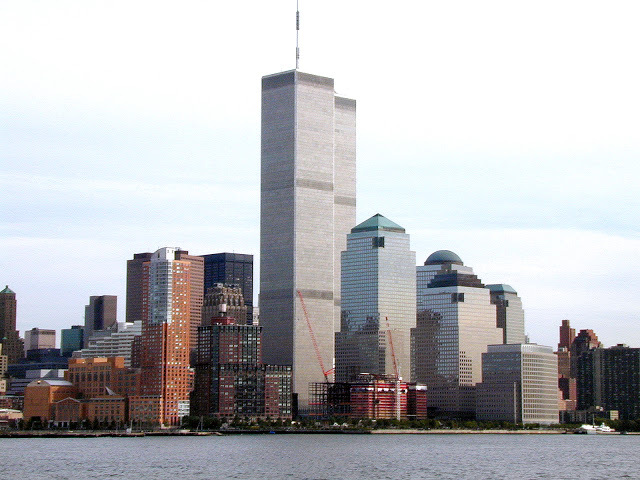 Tomorrow Americans mark September 11th where the largest terrorist attack on US soil took place seeing murdered thousands of their fellow citizens. Others add it was an attack on Western civilization itself. To some, the barbaric savagery of that terrorist attack on a civilian center where initial estimates believed tens of thousands perished marked the end of one century's barbarity fostered by totalitarian ideologies and begun by another in this one. This original photo from 1999 can restore an iconic image. For thousands of others, there are images of friends and family no photo can restore in the lives lost. Keep all of them in prayer, especially today.